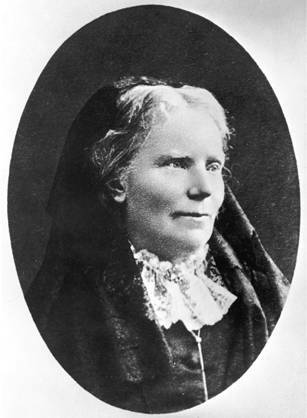 Elizabeth Blackwell (1821-1910) was born in England, but later moved to the United States. She became the first female in the United States to receive a medical degree, and the first female physician in the US. She also started a medical school for women. To find out more about Elizabeth Blackwell, click HERE. It is well worth the efforts of a life-time to have attained knowledge which justifies an attack on the root of all evil . . . which asserts that because forms of evil have always existed in society, therefore they must always exist . . . I must have something to engross my thoughts, some object in life which will fill this vacuum and prevent this sad wearing away of the heart. I can really identify with the second to last quote, because it seems like if I’m not busy, I’m not happy! ← Katie Davis: Author. Illustrator. Writerpreneur. You can relate to this post then… if you haven’t already seen it! Actually, Kami, I HAD read that post! I’m shocked at myself that I hadn’t posted a comment because it is SO me, too! I don’t think it’s a cultural thing because there are too many lazy, undriven, love-to-waste-time-on-nonsense people in society. I know that, for me, once I hit about 18 and realized more about the state of the world and the reality of mortality, I became more driven. Also, when you are a creative person, you simply can’t stop being creative. If you value time and life, you want to be productive. I think these are some of the reasons why. There’s also, of course, not enough hours in the day for people with full lives and varied interests. It’s just a fact of who we are. Of course, I never vacation of take a day “off” from anything, so to me, watching television IS doing “nothing” UNLESS—and there’s usually an “unless”—you’re learning something or it’s of use, even related to your writing.